Description via Eugenia Cheng: An introduction as of November 2001. Written for non-specialists in any discipline (originally as part of a job application), it is very non-technical and includes various flights of fancy and copious analogies. What is math? How exactly does it work? And what do three siblings trying to share a cake have to do with it? 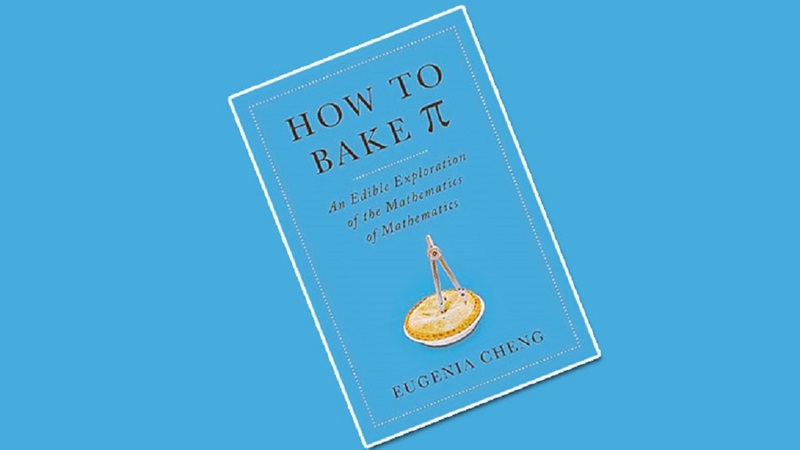 In How to Bake Pi, math professor Eugenia Cheng provides an accessible introduction to the logic and beauty of mathematics, powered, unexpectedly, by insights from the kitchen: we learn, for example, how the béchamel in a lasagna can be a lot like the number 5, and why making a good custard proves that math is easy but life is hard. Of course, it’s not all cooking; we’ll also run the New York and Chicago marathons, pay visits to Cinderella and Lewis Carroll, and even get to the bottom of a tomato’s identity as a vegetable. This is not the math of our high school classes: mathematics, Cheng shows us, is less about numbers and formulas and more about how we know, believe, and understand anything, including whether our brother took too much cake. At the heart of How to Bake Pi is Cheng’s work on category theory—a cutting-edge “mathematics of mathematics.” Cheng combines her theory work with her enthusiasm for cooking both to shed new light on the fundamentals of mathematics and to give readers a tour of a vast territory no popular book on math has explored before. Lively, funny, and clear, How to Bake Pi will dazzle the initiated while amusing and enlightening even the most hardened math-phobe.